Attendees came from all over the world to MWC 2017, more than 108,000 to be exact. Professionals from 208 countries and territories were there, and the event was covered by approximately 3,500 members of the international press and media. That’s why MWC is the world’s gathering place for all who thrive on the business of IoT and mobile solutions. 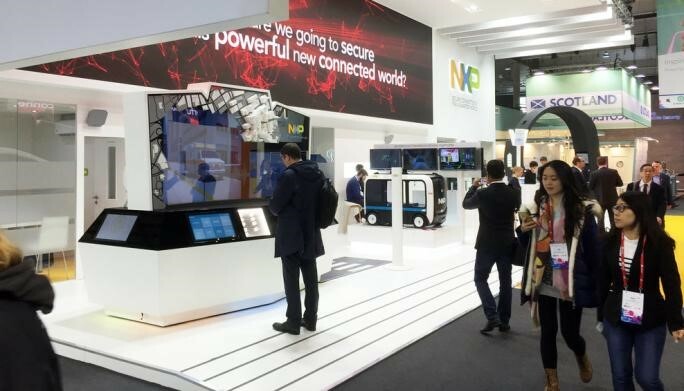 MobileKnowledge was present at the NXP booth showcasing secure NFC technology on wearable devices. On one hand we were presenting the MK100 design, the first active NFC wearable embedded in a ring form factor. On the other hand we were showcasing several innovations around secure NFC wearable technology: biometric fingerprint authentication based on secure element technology and how NFC technology can also be used to charge small battery driven devices such as wearables. Overall it was a great success as the demo stand where MobileKnowledge was present attracted the most interest amongst all demo stations from NXP. Looking forward to the next MWC in 2018!